On February 20, 2015, Open Hearts Community Mission broke ground on its 30-bed facility. 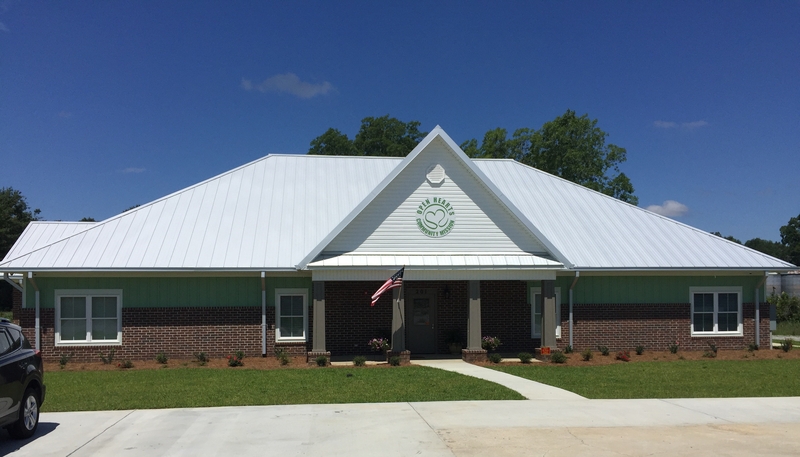 Through the incredible generosity of churches, businesses, civic clubs and caring individuals, a beautiful building now stands at 201 Martin Luther King, Jr. Drive in Statesboro, GA. Visitors are welcome to visit the facility and inquire regarding its programs. An appointment is preferred, but our Hearts and doors welcome those who care for the less fortunate. These are not rehabilitation programs nor emergency shelter services. Open Hearts Community Mission is not the proverbial three hots and a cot. It is a “five star Gospel Rescue Mission” designed to give individuals a hand up, not a hand out. The Mission will empower those who are down and out to become productive, honest, hard-working members of our community and churches. In addition to employment in our community, residents will share responsibilities for preparing meals, maintaining the mission and serving others as together they move forward. On June 28, 2017, the State Fire Marshall gave the green light to the Open Hearts Community. Years of sacrifice, incredible generosity and patience reach a crescendo this afternoon when the Mission received the go-ahead to serve our friends and neighbors who are temporarily homeless and need shelter. Thanks to ALL who have opened their hearts so that Open Hearts is now a reality. Serving our friends and neighbors in need with high standards, strong boundaries and clear direction with non-tolerance for drugs, alcohol, tobacco, violence and threat of violence.